Jiwaji University was established in the year 1964, is located in the city of Madhya Pradesh. 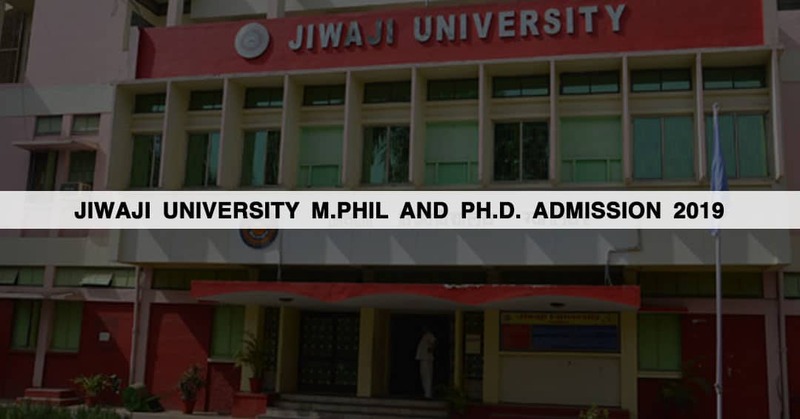 Jiwaji University offers a number of courses including M.Phil and Ph.D. Admission are based on the entrance exam university which is followed by the counseling process. Candidates must score an aggregate of 55% and above in post-graduation in their respective subject. A relaxation of 5% in aggregate will be given to SC/ST/OBC candidates having domicile of Madhya Pradesh only. Candidates can visit the official website of Jiwaji University. Payment for the application fee can be made through credit/debit card or by net-banking. The application fee is INR 600/. Scholars should give a written test; the first paper will qualify for (30%) whereas the merit will be prepared on the basis of marks obtained in the second paper. The passing marks in the second paper are 50% (45% for SC/ST/OBC Candidates).